Much to many people’s dismay, Hannibal is my current favorite television show. It is full of mental illness, deception, and violence – strange, warped violence and yet I adore it. 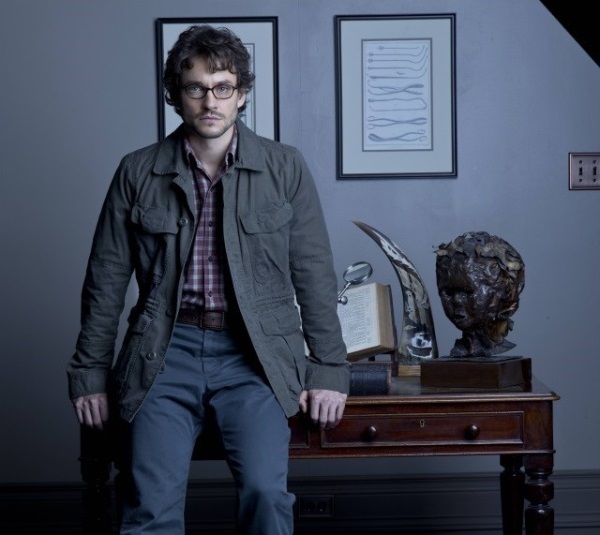 (Hugh Dancy playing the lead investigator doesn’t hurt.) In one episode, victims are found being kept alive by a strain of mushrooms. Although even the thought of that is just, well, freaky there was something so beautifully strange about it. People (barely) living in the bed of a lush forest, covered in mushrooms. In a TED talk that I recently watched, Jae Rhim Lee introduced her Infinity Burial Project, addressing her audience in her mushroom funeral suit. In her talk she discussed the toxicity that not only our cremation and traditional funeral practices bring into the environment but the toxicity that we, ourselves, carry in the world and then ultimately return to the environment when we die. Lee, an MIT graduate who works in the intersection between art and science, is in the process of developing a mushroom that is bred to, eventually, eat us. Okay – not that simple. Lee is developing environmentally conscious burial practices where we die in such a way that we are at peace with the environment – not leaving remnants of mercury, for example, to pollute soil. Mushrooms, by their very nature, thrive off of decomposing materials and Lee’s mushrooms are being genetically modified to decompose flesh so when a human dies they are literally enveloped in the earth and then released back into nature. I personally am not into being pumped with chemicals and letting some second-rate hack do my hair and face nor am I keen on being kept in a pot or cast out at sea. Digging a hole in the ground and burying people isn’t safe. (Please see history of people killed by cholera, for example). So, what choices are there? Being an organ donor? That’s a good choice but once you are of a certain age your organs are not really that desirable. Lee’s scientific experiments are linked to a more profound notion of our acceptance of aging, death and an essential relationship with nature. Plastic surgery, for example, has denied people, specifically women, the dignity to age gracefully. Instead of embracing the shifting nature of beauty, we race against the inevitability of our own mortality by getting Botox and lip injections. Do you really think Lauren Bacall would look more beautiful with work done on her face? I think not. Although the concept of organic burial practices seems pretty weird, I encourage you to think about how you want your body to be part of the earth when you die? If you want to be in a cemetery with a bunch of strangers, that’s fine. If you want to be eaten by fish in the sea or critters on a mountaintop, that’s fine, too. But I have always thought that being out in the pasture, underneath a bunch of trees, would probably be a pretty nice way to go. And maybe, if I’m lucky, I can be part of a field of bluebonnets. That would be heaven. For more information about Lee’s Infinity Burial Project click here.